Sarah Becker, 34, of Manchester, New Hampshire. A New Hampshire mother is facing multiple charges after police found her living with a 6-week-old infant inside a feces and trash-filled home with no heat or electricity earlier this week. 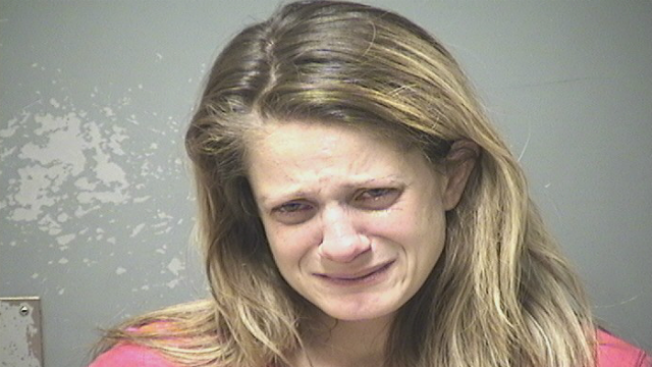 Sarah Becker, 34, of Manchester, is charged with endangering the welfare of a child and obstructing government administration. Manchester police said they responded to an apartment at 466 Beech St. on Tuesday and spoke with Becker, who was holding a baby wrapped tightly in numerous blankets. The officer noticed that the heat and electricity weren't working, and determined after being invited inside the apartment that the residence was uninhabitable for an infant based on the amount of trash, dog feces and debris scattered across the floors. Police returned to the home shortly after noon the following day to assist the state Division of Children, Youth and Families with a court order allowing them to take temporary custody of the young child based on the fact that Becker had failed to improve the deplorable living conditions. Becker was inside the apartment with her daughter and two pets at the time. Becker refused to hand her daughter over to the DCYF officials, and pushed a police officer while holding the baby, police said. She eventually agreed to comply with the court order and handed her baby to a DCYF worker on scene. The two pets were taken to the Manchester Animal Shelter by an animal control officer. Becker was scheduled to appear in Manchester District Court on Thursday. It was not immediately clear if she has an attorney.